Convert your starts. It is a common phrase in cricket. It is a phrase all batsmen have heard. It is every batsman’s aim to convert all his or her starts into big scores. 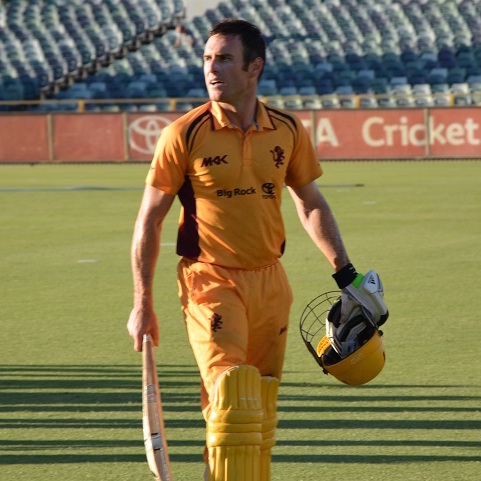 About the writer: Alex Malcolm has played over 150 First-grade matches in the WACA Premier competition for Subiaco-Floreat where he plays alongside Nathan Coulter-Nile & Jason Berendorff. After dominating the competition in 2013/14 (1091 runs at 68.19 including 6 centuries) Malcolm almost debut for WA in the Sheffield Shield final. 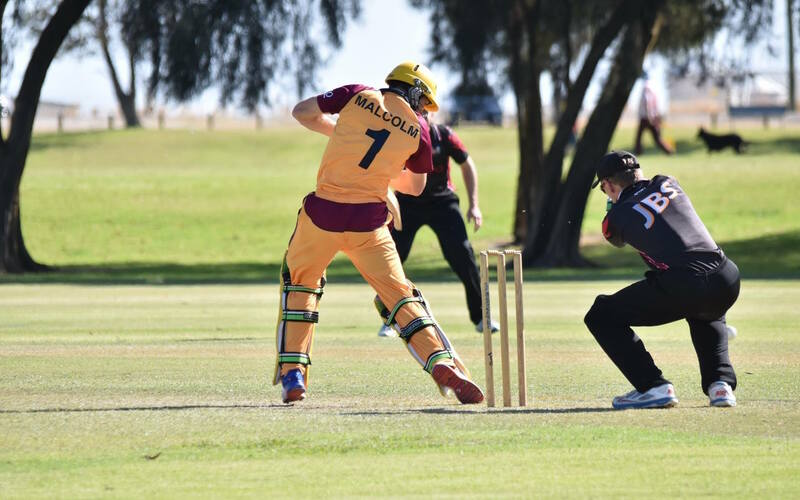 While it didn’t eventuate and a broken finger the following season meant he slipped down the queue of opening batsmen for WA, Malcolm continues to be one of the leading batsmen in the 1st-grade comp (660 runs at 50.77 in 16/17). 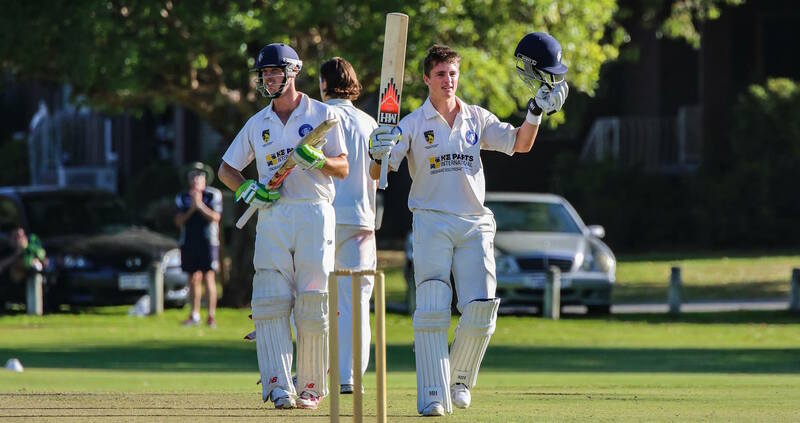 As a previous club captain and with over 5000 runs & 10 centuries in 1st grade, Malcolm has a great insight into what is required for a batter to be successful. But saying it and doing it are two different things. One of the great problems with cricket practice is most batsmen do not prepare to convert their starts. We practice starting every time we walk into a net or play an innings in a game. We work on the technical aspects of our game tirelessly, emphasising balance, drilling footwork, tightening defences, expanding stroke-play, all with an eye to getting big scores. But converting starts is a skill in itself. There are so many variables in cricket that are completely out of a batsman’s control. But too many batsmen get themselves out after getting started through no one’s fault but their own. Nothing is more frustrating than throwing away a start. As an opener who often failed to get through the new ball, throwing away a start was a criminal act for both myself and my team. Here are some of the things I’ve learned about converting starts after many, many failures, and a few successes. Following a particularly poor season one year I was searching for some answers. I had struggled to get started most of the season, which can often happen at the top of the order, and you can curse your luck a bit when a season goes that way. But on closer inspection I had got to 20 six times and converted just one of those starts into a score of significance for my team. I felt that I had prepared well, similarly to previous years, by hitting a lot of balls and being in good physical shape. But an illuminating conversation with Justin Langer changed my perception of my own work ethic. Langer’s last assignment as Australia’s batting coach, before taking over as the Western Warriors head coach in late 2012, was to help the test side prepare for a home series against South Africa. In the lead up to the first test at the Gabba Australia’s captain Michael Clarke was struggling with his ongoing back problems. The medical staff had advised him to limit the amount of batting he did in the lead up. Langer said Clarke ignored the advice and hit somewhere in the vicinity of 400-500 balls on each of the three days leading up to the test match, including the day prior to the game starting. To put that in perspective that is more than 10 bowling machine buckets at your local indoor centre per day for three days. Most buckets carry 30-40 balls. How often have you hit 10 buckets in one session? I had never done it. Most of my sessions were an hour long, four buckets, maybe five, somewhere between 120-160 balls. 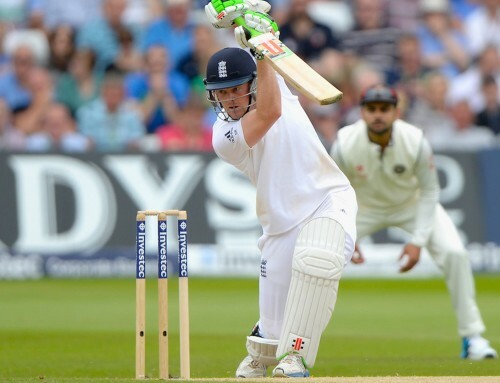 Clarke’s previous four test scores prior to that match were 45, 15, 24 and 25. They had come six months earlier but no doubt he would have been annoyed at not converting any of those starts into big scores. Clarke scored 259* in that Gabba test match. He backed that up with 230 in his next test innings in Adelaide. They were his third and fourth test hundreds in the 2012 calendar year and all of those were doubles, including a triple. What he had done in practice was train his body and his mind to bat for long periods. If you train in one-hour sessions all the time you will train your body and your mind to switch off after an hour. Is it little surprise then that you fail to kick on after batting for an hour in a match? It shouldn’t be. This was eye-opening to me. I would hit balls four or five times a week but never for more than an hour or 90 minutes. Most team training sessions batsmen generally only get 10 minutes in a net against bowling and have a few throw downs on top of that. So I tried some two-hour plus sessions the following winter, hitting 10 buckets instead of four, 400 balls instead of 160. The result was six of my next eight 50-plus scores were hundreds. What you learn in high volume sessions is that quantity is better than quality. You won’t hit every ball perfectly throughout. You will go through periods where you strike the ball poorly. You will also go through periods of striking the ball superbly. You will hit flat spots mentally, you will sweat profusely, your back will tighten up, your hands and forearms will become fatigued. These are all things that happen during a long innings in the middle. If you train your body and mind to handle these things in practice, you have a much better chance of handling them in games. You also need variety. You can’t just smash half volleys for two hours. During long innings you will face five or six different bowlers. You may struggle with one or two of those or face challenging spells. You also may fancy certain bowlers, and the challenge in those scenarios is to maintain your shape and not get complacent and lazy. So you need to prepare for all of that by setting the machine or requesting throws of different shapes, trajectories and speeds to try and replicate different bowling. Most players don’t think they can replicate what David Warner does. He is known for his natural ball striking talent, which is beyond the reach of most of us mere mortals. But talent will only get you so far. What is rarely mentioned about Warner in regards to his dominance as a player is the physical transformation he has made. Have a look at his body shape here in 2011 compared to his body shape in 2017. He has slimmed down significantly and has become a running machine. That’s not natural talent, that’s pure hard work. The incredible effect that has had on his game can be seen in his one-day record. In his first 63 one-day innings prior to breaking his thumb in September 2015 he scored just four hundreds and 12 fifties. In his last 28 innings he has scored nine hundreds and four fifties. While recovering from his thumb injury Warner did a lot of fitness work and focussed heavily on sprints and repeat sprint training. The result has been phenomenal. From personal experience converting starts in 50-over cricket can be harder than 90-over cricket. The reason is the field spreads after 10 overs and there a far fewer boundary opportunities. You are forced to do a lot more running and that takes a physical and mental toll. Not enough players prepare for that. In overs 10-40 you have to maintain the run-rate by sprinting lots of ones and twos. You can’t just face three dots and hit a boundary to maintain a strike-rate of 100-plus. Warner’s two international hundreds at the MCG in December 2016 illustrates this perfectly. In an ODI against New Zealand he batted 50 overs and made 156. In the Boxing day test he batted 48.5 overs and made 144. In the ODI, if you take out the total number of boundaries scored and include his partner’s runs, he had to physically run 167 of the team’s total of 256. In the test match he had to run just 98 runs of the 244 scored before he got out. That’s 69 fewer 20m sprints in the test innings. 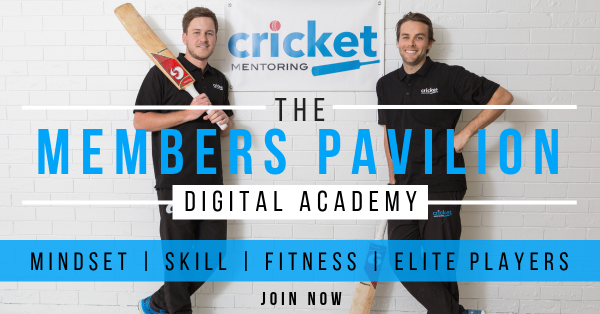 Lots of cricketers and coaches build running and fitness programs around the total distance run by cricketers on game day. Long runs and 100-200m intervals are common practice. Not enough players and teams focus on running between the wickets as a training option. In my own experience the decision to abandon 10-16km long runs in favour of running repeat 20-40-60m sprints between the wickets has improved my short form batting significantly. I’m not a power hitter so I need to find another way to bat deep into 50-over and T20 games and still maintain a healthy scoring rate for my team. If you run 100 runs in an innings it is only 2km of running, which is roughly 7-8 minutes of aerobic work if it’s a straight 2km run. But if you sprint 50 twos between the wickets on 30-second intervals, it’s the same distance, but it’s 25 minutes of anaerobic work that will test your lungs and legs so much more. My preferred running session is to sprint four ones, three twos, two threes and a four every 30 seconds with a minute break after each set. One set takes six minutes. Doing 10 sets takes an hour and you run 200 runs in total, but I’ll often do more if there’s time. It can be boring and repetitive but as a batsman intent on scoring big runs you have to overcome boredom and repeat your skills better than the rest. Distance runners don’t train for distance races by running 20-40-60m sprints repeatedly. The opposite is true for cricketers. The game doesn’t require you to run long distances non-stop. It requires short repeat efforts at high intensity over long periods of time. Training for that will give you a better chance of handling it in games. Unfortunately, none of these things guaranteed success. I still failed a lot and I still failed to convert starts. But what it did for me was give me a better chance to succeed and made me feel more confident about my ability to kick on after getting started. Converting starts is all about eliminating the number of ways you can get out. As I said earlier, there are variables such as the pitch, overhead conditions, bowlers and umpires, that are completely out of your control. But your mental and physical strength to bat for long periods is in your control. If you prepare well, you are far less likely to get yourself out due to mental errors or physical tiredness and far more likely to make the most of a start that you have earned. I scores 30+ runs in every t 20 match in school tournament but i am not able to convert it into a big score. So please advice me how to convert a start into a big score?